Thin film thickness uniformity is one of the main components of yield. Parts coated with a film that is outside the limits will need to be either reworked or scrapped. However, it is important not to over-specify the uniformity. If your design demands +/-5% uniformity and you specify +/-2% because it is “better”, you will end up with a more costly solution with no real difference in yield. Some of the tradeoffs are material utilization (an especially key consideration when depositing precious metals), deposition rate and system cost. Different deposition methods have different solutions for adjusting uniformity. In all cases, it’s critical to maximize your thin film system configuration so you can minimize cost while still hitting the uniformity specs you need. Thermal evaporation and e-beam evaporation are the most cost-effective deposition methods, so they are good systems to use if they meet your process requirements. However, they generally have relatively poor uniformity when used without any enhancements, such as planetary fixturing or masks. In planetary substrate fixturing, a second axis of rotation is added, so that a substrate passes through the system in a different position each time. This helps ensure that all areas of the substrate are coated and improves overall thickness uniformity of the coating. It adds cost and complexity to the system, but it is a well-established technique to use when required. Since the deposition plume from an evaporation source is not perfectly uniform, a uniformity mask can be used to screen part of the evaporated material from reaching the substrate. By carefully designing and placing the mask, a precise portion of the plume is blocked, which nets a more uniform deposition profile on the substrate. For certain applications, such as semiconductors and opto-electronics, it’s necessary to achieve a high throughput to meet customer demand. Achieving performance specs is moot without delivering that level of production. In these cases, magnetron sputtering is a good option. This deposition method provides high-quality films, and is most compatible with high levels of automation. As a result, this deposition method will often provide the best cost of ownership, particularly for high-volume manufacturing. There are options to directly improve uniformity within a magnetron sputtering system. Magnetron sputtering offers a wide range of choices for the basic system architecture, unlike evaporation or ion beam sputtering. As a result, the uniformity options will vary based on the architecture. In many cases uniformity can be improved by the use of masks. Substrate rotation can also help uniformity. However, the biggest impact comes from the overall system design. 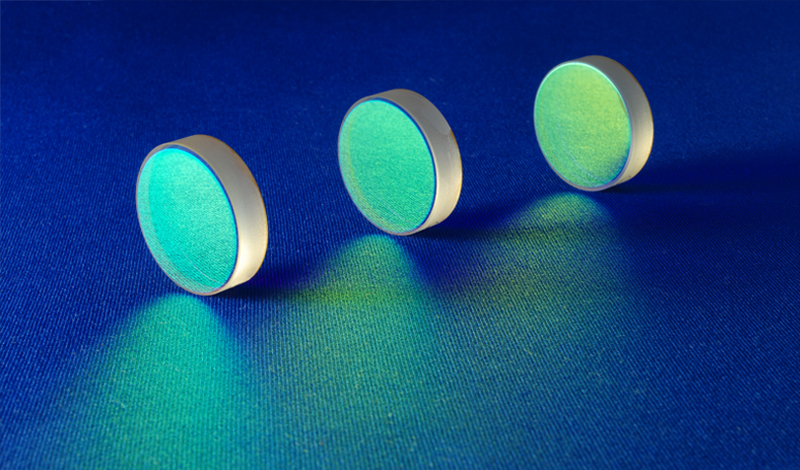 Large cathodes will typically produce more uniform films than small cathodes. Multi-cathode single wafer systems will tend to have worse uniformity than single-cathode systems. In-line systems can provide great uniformity but require a very steady production stream to achieve low cost of ownership (COO). All of these options come with tradeoffs, such as cost of individual targets, throughput, overall system cost and system flexibility. This is why it is critical to understand your real requirements before settling on a magnetron sputtering architecture, and then optimize uniformity within the platform constraints. To produce the highest quality thin films with excellent uniformity, ion beam sputtering (IBS) will deliver. This can also translate to higher yield as compared to magnetron sputtering and evaporation. However, IBS is a much more complex deposition method that takes time to complete, and tends to come at a higher system cost. Uniformity is typically achieved by use of planetary motion of the fixtures to raster the small deposition beam over a large area. This is an inherently slow process and compatible with excellent uniformity. As a result, IBS is not the most sensible configuration for applications requiring high production levels or low cost. But when exact control over film thickness and quality is needed, such as in precision optical notch filters, IBS can be a good option.